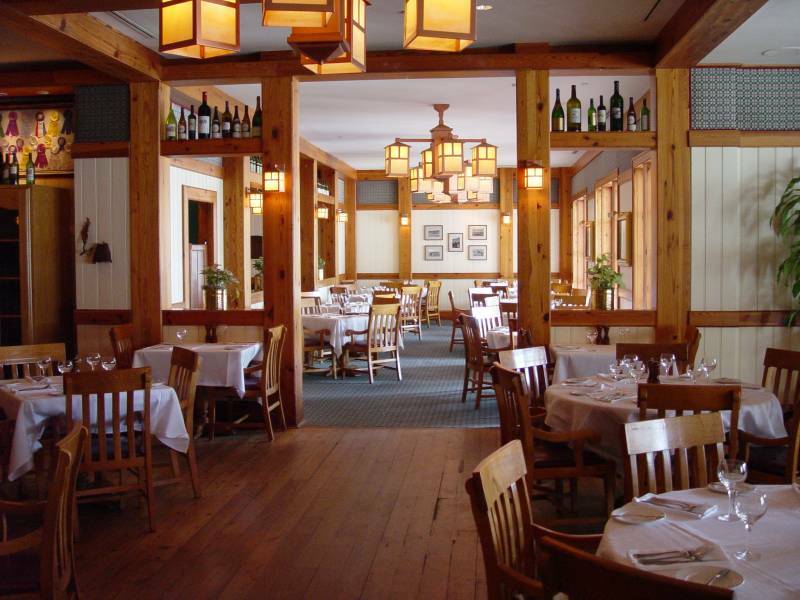 Overlooking a picturesque lake, this restaurant enjoys an elegant ambiance and a menu that features beef, pasta, fish, soups, salads and interesting sides. Chef Michael Cardarelli prides himself on creating flavorful meat dishes that tempt the palate. Great place for a business lunch or dinner. A comfortable, full bar sports an intimate sitting area with couches and a fireplace. Occasionally in the evenings, guests are treated to live entertainment. Reservations recommended. Smart casual to trendy attire appropriate. Memorabilia from the Miami Dolphins’ “perfect season” lines the walls at this steakhouse, and don’t be surprised when your server passes you a pigskin — it’s the menu, after all! However the atmosphere doesn’t sacrifice any formality to the sports theme; photos in gilded frames, hardwood floors, cherry paneling and soft red chairs fill the dining room. The 48-oz Porterhouse headlines buts shares the fanfare with Maine lobster and several selections of fish. For dessert, gratify your cravings with a deadly concoction such as the chocolate soufflé, or opt for a classic like vanilla cheesecake or apple crisp. It’s all about steak at Charley’s. Actually, it’s all about BIG steak at Charley’s. Make sure you are hungry, because when your order arrives you will be greeted with a hearty portion of choice-cut beef. 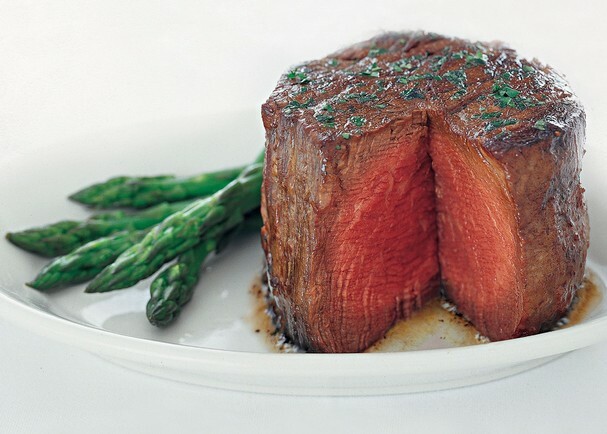 The chef’s secret is really no secret as all the Charley’s regulars know that these tempting steaks come straight off a wood-burning pit oven, a method of grilling that’s referred to as the Seminole Indian cooking method. A tempting selection of appetizers and desserts also exist for those looking to supplement the steak. Reservations recommended; smart casual dress appropriate. Located in Disney’s Yacht Club Resort, this steakhouse serves up only the finest corn-bred beef — small and large portions available so it’s perfect for everyone in your group. For those looking for an alternative to steak, try the lamb, pork or the chicken entrees. Side dishes include homemade bread, potatoes, salads and veggies. Inside, a warm aura pervades as the pine ceiling beams, wood floor and burgundy leather chairs add to the casually elegant ambiance. 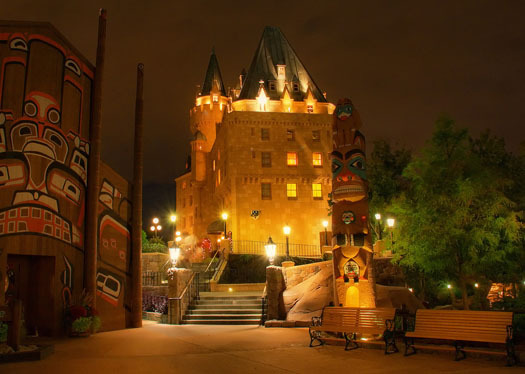 Housed in EPCOT ® in the Hotel du Canada, this steakhouse sports a medieval decor — tapestries, arches, wrought iron and sconces all play their part in the overall ambiance. 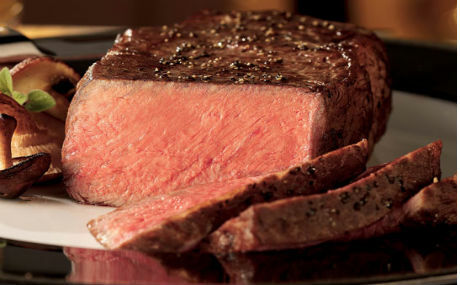 When selecting your dinner, go for the good stuff — porterhouse or prime rib. If you are not a red meat lover, other options do exist. For instance, fish entrees and soups dot the menu. The wine list proudly presents an array of Canadian wines. Reservations recommended; casual attire appropriate. 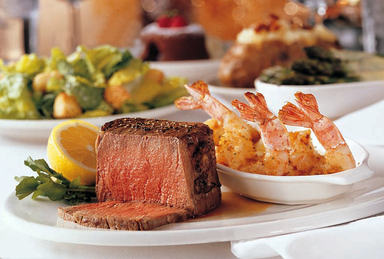 Ruth’s Chris Steakhouse is an elegantly decorated restaurant located in the heart of Winter Park. The food here center around huge slabs of beef that are smothered in butter. 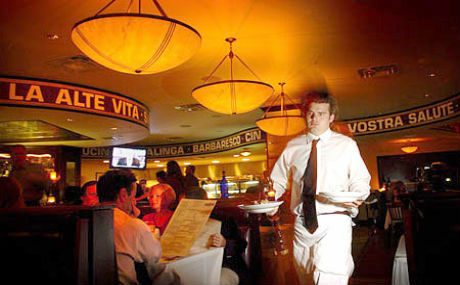 In addition to their more popular entrées such as the porterhouse, sirloin and rib eye, guests can select from lobster, lamb and a host of other side dishes. Reservations are suggested on weekends. Business casual to business dressy attire appropriate. Private dining room available. 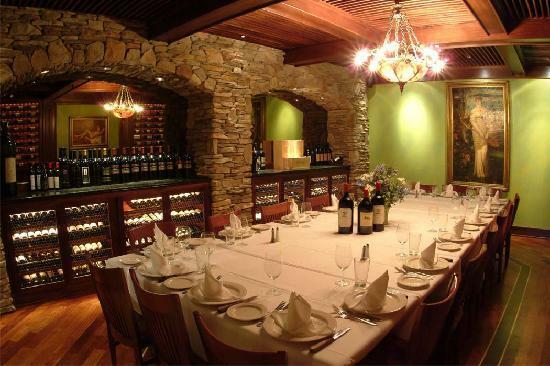 Upon entering the restaurant your eyes will be drawn to the richly decorated interior. The dark wood and dimly lit area lend an elegant feel to the establishment. This is a meat eater’s haven — fresh, not frozen porterhouse, sirloin, rib eye and more. The portions of thick cuts of meats are plentiful. Vegetables and homemade breads accompany many entree selections. Good choice for your next business dinner. Dessert menu available for those with a sweet tooth; great wine list. Listen carefully as your server goes through the many meat selections available. From the 24-oz Porterhouse to the satisfying 20-oz New York Sirloin, this place is truly a meat-lover’s heaven. All orders are cooked as requested and are still sizzling as they are served. If the meat doesn’t fill you up, be sure to try the luscious chocolate Godiva cake. Business attire. Reservations recommended. 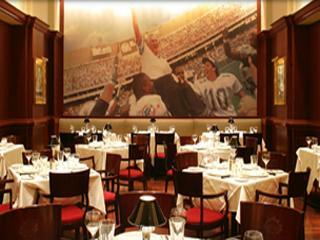 Whimsical caricatures cover the walls of this otherwise traditional dining room, located in the Hard Rock Hotel. 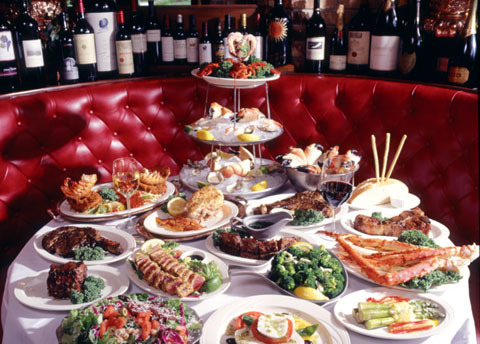 Best known for its fabulous 36-oz New York strip and 3-lb jumbo Maine lobster, the Palm also offers up fresh fish, pasta and veal dishes … in addition to a variety of cuts of beef, of course. Be sure to round out the meal with a bottle of imported wine and one of their savory sides, such as creamed spinach, cottage fries, fried onions or mushrooms. At this Italian steakhouse, fish and steak are cooked over a wood fire, which imparts a distinctive flavor. Menu offerings include aged corn beef, lamb T-bone loin chopped before your eyes, cedar-plank roasted salmon and tuna sashimi, and Mediterranean influenced appetizers, salads and sides complete the meal. 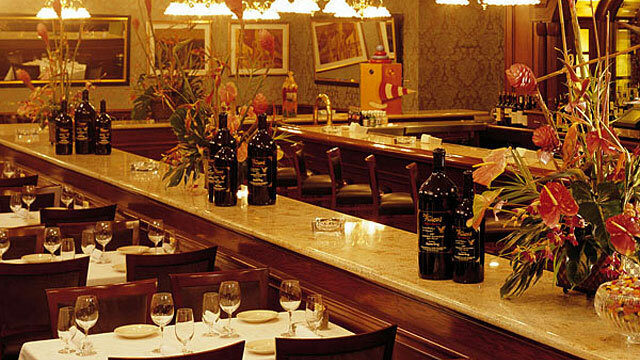 A full bar with an extensive wine list and a martini menu add to the restaurant’s appeal.